Dr. Kelly Seyed serves as Managing Director at McAllister & Quinn, where she helps clients identify and obtain funding from private foundations and federal agencies to support their institutional projects and programs. Dr. Seyed provides strategic advice to clients and manages all aspects of the grant preparation process, from identification of client needs and capabilities to grant submission. Before joining McAllister & Quinn, Dr. Seyed spent three years as a Scientific Grants Manager in the Strategic Partnerships and Programs team at Susan G. Komen where she worked with principal investigators and major cancer centers to supervise a grant portfolio totaling over $10 million. 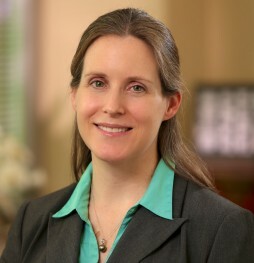 In addition to grants oversight, she managed application and engagement efforts for Komen’s Scientific Advisors and developed and managed a number of high-profile projects, including an educational webinar series for Komen’s Research Advocates and organized research panels for Komen’s annual meeting. Prior to working at Komen, Dr. Seyed completed two postdoctoral fellowships at Roswell Park Cancer Institute in Buffalo, NY, where she studied the biology and epidemiology of breast cancer. She earned her Ph.D. in genetics and genomics from Boston University School of Medicine and her B.S. in biology from the University of Tampa.